This Report I write because many custumers ask me, when I was working as a Padi Divemaster, what we can exept and what we will see on a Scuba Dive on Koh Chang in Thailand. My first Fun Dive here on this tropical Island I did as a Open Water Diver in december 2006 near Koh Rang on the Koh Yak Lek Dive spot near Koh Mak. This Dive site has a maximum deep of 12 meter which is good for long and colourful dives. 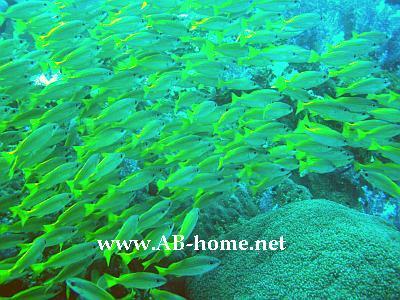 At the national park a bit south of Ko Chang you will reconize huge and beautiful corals and a lot of fish schools. In general the Diving here is shallow and don’t reach over 18 meter deep. Ther are just some deep dive sites around the beautiful Island in Thailand, the Koh Chang Pinnacles is one of thease. If you are lucky you will have visibilities up to 25 meter +! Nearly every dive spot are boot dives just from the Diving and Snorkel site “Koh Yuak” you can go from the beach. The best time for scuba diving this Island in the Gulf of Thailand is between November and February where are the best conditions. During the Green Season the visibility is less and it can be current. The most spectacular dive site for me is Hin Luk Bat. The dive at this amazing spot starts usual at the rope from the boat. Than you going down to about 9 meters to the beautiful corals around the rock. on the other side is the deepest point, 18 meter maximum deep are perfect for fun divers and Padi scuba courses on all levels. Here at Hin Luk Bat you can see Beaked Coralfishes, Butterfly fishes, Bannerfishes, many pink Anemonefisshes, great barracudas, morayeels, Angelfishes, damsel fishes, if you are lucky whale sharks, stone fishes and much more. The corals are as well nice here. You will reconize Table Corals, Staghorn corals, Anemone Corals, double-star corals, vase corals… . Near Hin Luk Bat are the Dive Sites Blueberry Hill which is famous for bluespotted stingrays and Hin Rap which is a famous scuba dive spot for schools of snappers, sweetlips and a lot of beautiful rocks. Here you see sometimes the titan triggerfish which is not that friendly than other fishes at the Mu Ko Chang Marine National Park in Thailand. All in all the diving on Koh Chang is shallow and easy, just sometimes are current and in high season the visibilities are mostly good. The temperatures of the Gulf of Thailand are all over year warm, warm means between 27 and 31 degrees. On Koh Chang you have the choice between 18 scuba diving center, the prices for two fun dives are between 2000 and 2600 Thai Baht in 2009. 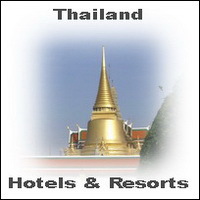 The best way is you ask at your guest house or hotel desk for more information. Or if you have a motorbike go the the dive schools and look how it look, the most important think are the tanks and the equipment and for sure the staff team. Some Center rent out a underwater camera for beautiful diving pictures from your highlight of your holidays. If everything look nice and the staff team of the Padi Dive Center are friendly and competent than you will enjoy your fun dive or your scuba course on Koh Chang in Thailand. I went for diving holidays to Ko Chang. We went with BB Divers, i really can recommend BB for fun dives and courses. The professional staff and the good equipment of BB diving center was reason for a pleasant dive day in the Gulf of Thailand.